I told you there were giveaways coming! Let's start one today! 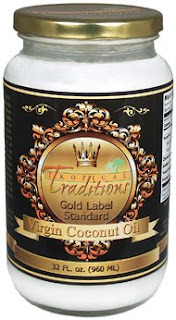 Recently I received some Gold Label Virgin Coconut Oil from Tropical Traditions to review. It was perfect timing as I was wanting to start using coconut oil in my cooking. Wow - great stuff! Not only is coconut oil healthy for you, but this Gold Label Virgin Coconut Oil is very high quality. You can read all about virgin coconut oil on the Tropical Traditions site. Since this coconut oil is hand-processed, it has the scent and slight taste of coconut which my family enjoyed. It's solid when under 76 degrees F, which takes a little getting used to, but it melts really fast if you need it in liquid form. I tried the coconut oil in several things: popping popcorn on the stove (so yummy), sauteing vegetables, Nutella Biscotti, and Orange-Chocolate Slice Cookies. I like how clean and clear the oil is and everything I've cooked with it has been delicious. I plan on continuing to use coconut oil in my cooking and am impressed with the quality of Tropical Traditions coconut oil. Tropical Traditions has generously offered to give one of my U.S. **ETA: or Canadian** readers a 32 oz. jar of Gold Label Virgin Coconut Oil (pictured above)!! Wow - that's a $37.50 value! - Go to the Tropical Traditions website; come back and leave a comment telling me what products most interest you. This giveaway will last through Friday 3/12 and winner will be announced on Saturday 3/13. If you already use coconut oil, you know what a great giveaway this is and if you've never used coconut oil before, then winning the giveaway would be a great way to try it for the first time! Disclosure: Tropical Traditions provided me with a free sample of this product to review, and I was under no obligation to review it if I so chose. 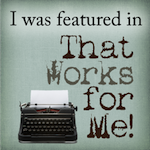 Nor was I under any obligation to write a positive review or sponsor a product giveaway in return for the free product. If you have a chance today, stop by Frugal Femina to check out my guest post - I created a healthier brownie recipe for Katie (who also uses Tropical Traditions by the way!) and added some coconut oil to the recipe! Oh I can tell you that without even leaving because I've visited their website a lot. I buy their coconut oil and love it! I use it in all my baking. Big coconut oil in banana bread is the best size hugs to you! I don't have twitter but I am a fan on FB. Does that count? AND I already get their newsletter! This was right up my alley! LOL! I'm interested in the coconut oil, I've never used it. Also interested in the Omega-3 Greens and the natural skin care products. The Inside Out Peanut Butter Cups sounds like a great way to be able to eat my favorite candy again. I am interested in trying to coconut oil. I have heard about it a lot lately! I've never used coconut oil, but would love to try! Also - looked at their site, I'd love to try their organic maple syrup! I've been reading more and more about the benefits of coconut oil and have been looking for a high quality brand. I also think the skin care products at Tropical Traditions look wonderful! I'd actually be interested just to try the virgin coconut oil. I've just started to use it in some of my baking, but haven't had a chance to check out different brands. It looks great! Oh that Coconut oil looks so good...count me in! I especially love the organic section on their website...those wild caught fish are intriguing. Trying to eat a lot of fish these days! I would order the sardines and the salmon and tuna! The coconut shrimp recipe looks great...just sure of the calories? I bet theses are awesome! I have been wanting to try coconut oil! Other then that the skin care looks interesting...the skin exfoliator specifically! lots of yummy recipes, but I would love to make the coconut vanilla granola! Actually, I'm really interested in their deoderant. I switched to natural deoderants about 2 years ago, but haven't been able to find my old brand (which worked beautifully) for over a year. I'd love to see how Tropical Traditions works! i am overly obsessed with moisturizers. i think the citrus moisturizing cream sounds divine. I just started using coconut oil and will never stop. It is amazing. I would love to try their Gold Label. I am also very interested in learning more about their cage-free, grass fed animals such as bison and turkey. We also just started eating bison and love it! I haven't researched it yet, but I'm hoping they have chicken too. 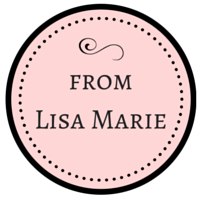 I am signed up to receive the Tropical Traditions Newsletter! Coconut peanut butter brownies. Ooohh Laa Laa! I'm following on Twitter - at least I think I signed up to be a follower correctly. I do have a Twitter account but I honestly have not gotten into using it much. I prefer Facebook. I just shared this on Facebook! I know that worked. I'm a fan! Starting using coconut oil a few months ago for cooking and for skin and hair care and I love it. So far I have given away MOST of my skin creams and lotions and have dumped the gallon of cooking oil that lives under the sink! I would love to try that coconut peanut butter on their site. Tropical Tradtions skin and hair care products are what interests me. Signed up for Tropical Traditions newsletter. Chocolate Chi[ Oatmeal Cookies recipe from the Tropical Traditions site. The coconut flour and coconut peanut butter. Already signed up for TT's newsletter. I am interested in the Goat Colostrum and Bison meat. My favorite recipe is the coconut pancakes. I am intrigued by the coconut oil itself. This is new to me, I just started doing research on the benefits of using coconut oil and I can't wait to start. I am at some point going to try all the recipes!!!! ooooo I really want to try the coconut peanut butter! I follow you both on Twitter as FotoMacro. 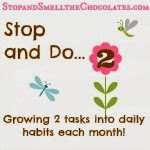 I would love to try the Coconut Peanut Butter Cup Hot Cocoa Recipe! The coconut flour sounds great! I think the coconut flour would make wonderful baked goods! The Coconut Peanut Butter Whole Wheat Brownies recipe sounds sinful! I am signed up for the TT newsletter. Mmmm...I think the organic dark mint chocolate looks great! Mint chocolate is to die for. I also took a good look at the juicer, as I'm really thinking of buying one! I would love to try their soap bars! I've read coconut is an amazing moisturizer so I can only imagine how good their soaps are! I'm already on their Newsletter! Their Peanut Coconut Sauce sounds amazing! Their Chocolate Coconut Pudding too! I already follow TropTradition on Twitter but now follow you too! (at)galabytes! I love TT coconut oil!! I also plan on getting some shredded coconut next time I order. Thanks! free coconut recipes...my own recipe that was published!